Can your ERP system overcome these three distribution challenges? Efficiency is the key to meeting growing demand for direct-to-consumer shipping. The key to meeting the growing demand for direct-to-consumer (D2C) shipping is efficiency, not speed. 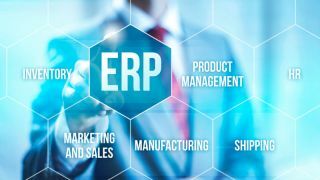 As John Weber, Director, Business Development and Product Management at Aptean, explains, distributors need to know that their ERP systems are up to the task. Imagine this scenario: you shop for a product online, order it and then you wait...and wait. Your product takes just over a week to reach you, and you react with delight when it arrives. It's amazing that you received your item so quickly – and to your door as well. It would've taken your local store a month to wait for its next shipment. This seems ludicrous today, but it's exactly how D2C shipping used to work – and it wasn't all that long ago, either. It shows just how much things have changed. Imagine receiving that standard of service today. As the first, then the second day goes by, you'd wonder whether to get in touch to find out what's going on. Has the company forgotten about you? Surely, they should've shipped it by now. You check your emails to see if there's a confirmation. Nothing. At this point, chances are you'd purchase the same product from a competitor who can get it to you quicker and cancel the original order. The first company loses out because they weren't fast enough, and – more likely than not – they'll be asking questions about their distributor. In direct-to-consumer shipping, speed is everything – and it's all driven by consumer demand. People want their packages sooner than ever, creating some major challenges for distributors. The days of having a week or more to fill orders are gone. In just three years, the average time from order placement to delivery has dropped by 60%. Additionally, on top of an unprecedented increase in e-commerce volume (roughly seven in ten Millennials prefer to shop online), more than 60% of consumers are willing to pay for the convenience of same-day delivery. It's not that the process involved (identify shipping requirements, pick items from the warehouse, dispatch items) has changed; it's that it's suddenly become a lot more intense. For example, a key part of fulfilling an order is making sure the right products go out in the right packages. This is already a labour-intensive process but achieving it for a greater number of orders in less time makes it even more difficult, increasing the potential for mistakes. Get it wrong and you not only negatively impact customer satisfaction, but you also increase the time spent handling items when they're returned to correct an order. This cuts into your profits even before you deal with the potential for costly chargebacks from the retailer. Another challenge that distributors face due to the demand for direct-to-consumer shipping is an increase in order volume. Before, you might have dealt with hundreds of bulk orders direct to the retailer’s distribution center, now you're looking at thousands of small, individual orders shipped direct to the customer. This high order volume and small pick quantity is a costly way to do business and can quickly become unsustainable if you're not careful. Think about it: instead of picking 50 identical orders, your teams are now running around fulfilling 50 unique orders – each with their own quantities and attributes. You either have to find a way to work more efficiently or you'll lose money. It's that simple. Maintaining compliance is also a growing concern for retail distributors trying to meet the rising demand for high-speed fulfilment. Vendors continue to increase chargeback fines, leaving you exposed - with some retailers even counting these fines as up to 13% of their account revenue. A common issue you might have to deal with is branding. When working for a major retailer, they expect you to dynamically customize the shipping labels and pack slips for thousands of orders to maintain their branding in the eyes of customers. You're effectively acting on behalf of their brand, and failure to meet their requirements often results in chargebacks for noncompliance – further cutting into your margins. If you're grappling with these challenges, it’s probably time to take a closer look at your enterprise resource planning (ERP) system and decide if it's capable of meeting the demands of the direct-to-consumer shipping model. If not, you may well need to invest in new technology that can keep pace with consumers and retailers. Take the labelling process. An advanced ERP can brand and print shipping labels and pack slips within the solution with tracking numbers. No more portal hopping, printing and manually matching the labels and pack slips with their respective orders – it’s all streamlined within the picking process. This is just one example of how an advanced ERP can reduce the complexity of your operations – and the potential for mistakes. Another thing to think about is how your ERP system integrates with EDI and WMS. Without that integration, you'll have little to no chance of fulfilling a high volume of orders with tight deadlines for distribution. When you have a 24-hour turnaround time to get an order out, you simply can't afford to waste time getting orders from other EDI systems, inputting that data into your ERP, then transferring it to the WMS. Integration between these three processes is vital if you expect to fulfil orders on time, while keeping warehouse costs low and preventing retailer chargebacks. There's no going back. Consumers will continue to demand high-speed shipping, which means that the requirements retailers impose on their distributors will only get tougher. Retailers won't accept a situation where delivery times increase in line with the number of deliveries going out – they'll still want to offer their customers the same turnaround on a purchase, and that expectation will be passed onto the distributors to fulfil. Based on this, it can be tempting to try to increase your speed by throwing extra people at the task or hiring temporary workers. However, an inefficient process will still be inefficient – no matter how quickly you operate it or how many people you involve (in fact, it's likely to become worse at scale). Also, you have to protect your margin as much as possible, which isn't exactly compatible with a sudden influx of new hires. You need a plan. Map out your current business and take a closer look at your existing systems. This means searching for flaws or areas that need too much manual intervention to make them work. Remember to ask yourself whether you have the right ERP solution in place to improve the efficiencies you find, or the right software partner to support you as the D2C shipping trend continues to grow. Fail to do this and you'll struggle to keep up with rapidly increasing demand. Worst-case scenario, you risk losing retail customers as they look to your competitors for a distributor that can meet their 24-hour shopping needs. Now's the time to act. Do so before it's too late.